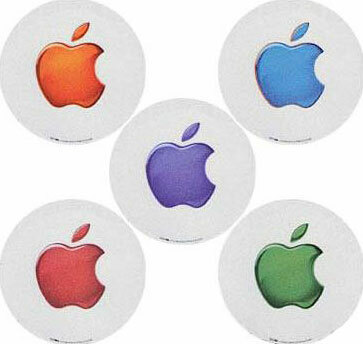 Classic Flavor Mac Apple Logo Aqua Mouse Pads. They look great next to your iMac or just a nice place to set your coffee cup on. They are made from thin, strong Tevalite by Microthin with a high traction undercoating to adhere to your desk and they work with all optical and mechanical mice.